Lisa has a wealth of experience working in the plastic surgery field. She joined Dr. Berzin’s practice in 2007. Previously, Lisa worked with Dr. Berzin when he was a plastic surgery resident at Baylor College of Medicine. There she was the Surgery Coordinator in the Division of Plastic Surgery under the direction of the late Dr. Saleh Shenaq. She held this position for over 12 years. Lisa is an invaluable source of information for patients seeking plastic surgery. She is also the Brachial Plexus Coordinator for the Texas Brachial Plexus Institute. There she schedules all appointments and surgical procedures and works closely with families that are traveling to Houston to visit our team. “The day to day contact I have with Dr. Berzin’s patients, both children and adults, is a very rewarding part of my job and I am so pleased to be working with him once again!! Rebecca has been helping plastic surgery patients for 25 years. She is exceedingly kind and patient, and is usually the first point of contact for new and established patients. She is sympathetic, caring, knowledgeable and resourceful. Rebecca has a kind heart and broad shoulders for those that need her. 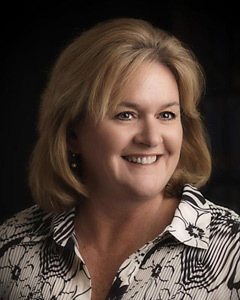 Kristie has been helping plastic surgery patients for the past 18 years and has been billing for the last 30 years. She is experienced, knowledgeable and compassionate. Kristie is able to accomplish for patients what few others have. She is a strong and committed patient advocate against the insurance companies that try to deny needed services. Kristie also is incredibly creative with patients who are struggling with financial hardship, to ease their burden and help them any way possible.